If you like old, historical and picturesque houses, then come, be our guest at the AMPHORA hotel. Built in the 14th century, our hotel has Venetian and Turkish influences. Our renovations and furnishings were designed for your comfort and well being. 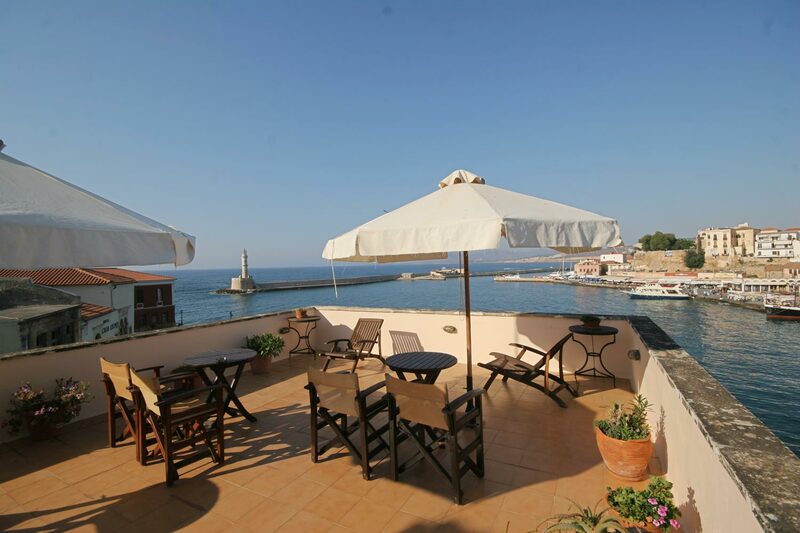 The lovely old town and harbour and the beautiful view will contribute to your relaxation and enjoyment. Come and see for yourself. It will be a pleasure for us to welcome you. Our hotel has 20 uniquely furnished rooms with two or three beds. You can start your day in the cosy atmosphere of our breakfast room with a delicious breakfast including homemade preserves and freshly pressed orange juice. Overlooking the calm harbour waters, our restaurant, located in the basement of the hotel, offers excellent Cretan specialities.